Am I alone in wondering why NBColympics think its acceptable to pretend this road race is being broadcast live? According to NBC's commentary team, the Surrey countryside is full of "chateaus" #ffs! Matt Lauer would do well to shut up, wouldn't he? I have 1000 channels on my TV. Not one will be showing the Olympics opening ceremony live. Because NBC are utter, utter bastards. A Twitter support staffer informed him that it was the last Tweet that did Adams in—for "posting an individual's private information." The address he posted was Zenkel's corporate address, which can easily be figured out by Googling how NBC makes its addresses. 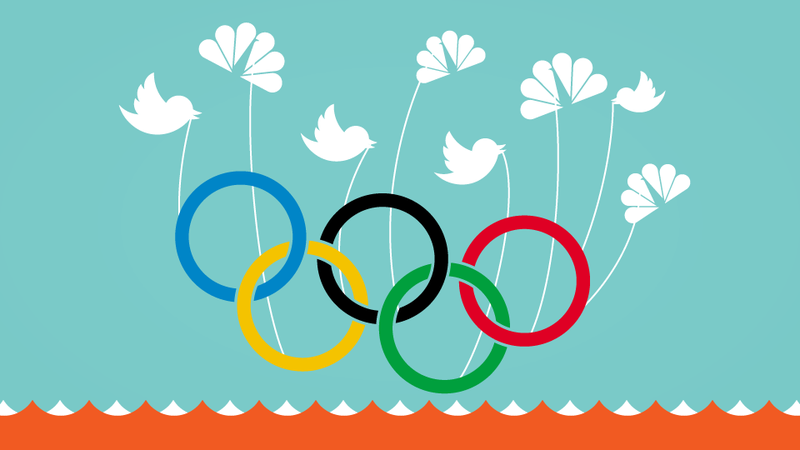 Twitter's Olympics hub, part of a partnership between the San Francisco company and Comcast Corp.'s CMCSA +0.05% NBCUniversal that will be announced as early as Monday, is one of the first times Twitter will serve as an official narrator for a live event. NBC will tout the website with on-air promotions and links to athlete interviews or video clips. Adams, quite rightly, was surprised by this. This is the email he wrote to Twitter's European PR head. They've dealt with this (see below). Would you mind if I give you a quick call to discuss? I'm of course happy to abide by Twitter's rules, now and forever. But I don't see how I broke them in this case: I didn't publish a private email address. Just a corporate one, which is widely available to anyone with access to Google, and is identical to one that all of the tens of thousands of NBC Universal employees share. It's no more "private" than the address I'm emailing you from right now. Either way, quite worrying that NBC, whose parent company are an Olympic sponsor, are apparently trying (and, in this case, succeeding) in shutting down the Twitter accounts of journliasts who are critical of their Olympic coverage. And if so, isn't it a bit rum that they succeed in shutting down my account? Either way, thanks for expediting all of this. UPDATE, 1:59 p.m.: Felix Salmon notes that the rule Adams was accused of breaking doesn't actually exist. Twitter's policy says people can't post "non-public, personal email addresses." NBC executives' corporate email addresses are neither personal nor private. They can be found at first.last@nbcuni.com. And here is Guy Adams' piece discussing the whole affair. Here he is. Guy Adams suddenly has access to his Twitter account again.